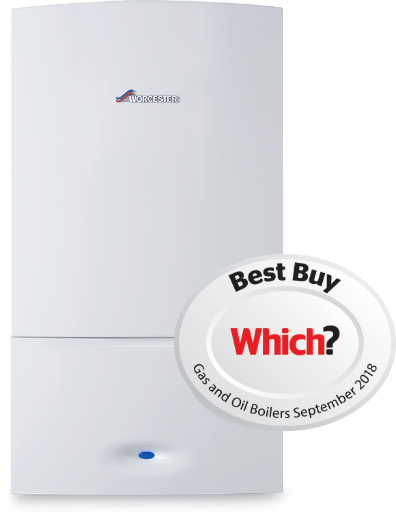 A combination (combi) boiler combines a highly efficient water heater and a central heating boiler into one compact unit. 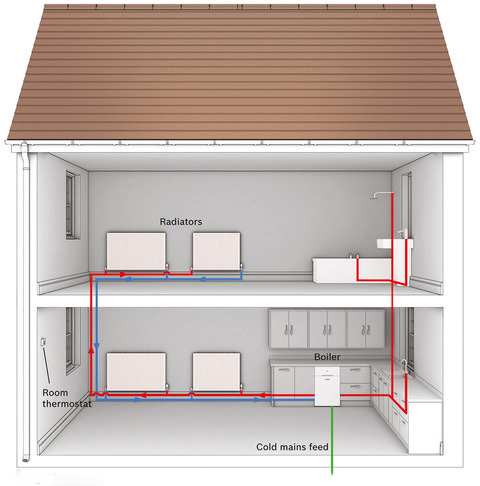 As a result, the combi boiler is fast becoming the heating system of choice in new homes across the UK, with over 50% of new installations being this type of boiler. Oil combi boilers are floor mounted due to weight. Gas combi boilers can be wall mounted. Since the hot water is produced at mains pressure, if the hot water is required in multiple outlets at the same time (e.g. a shower and the washing machine are running at the same time), there will be pressure drops at the different outlets. To install an accumulator tank (approximately £500 – £1000 depending on the size), which is a steel vessel that stores mains water at the pressure it is supplied into the home. Air within the steel vessel (trapped in a rubber diaphragm) is compressed by the mains water. When a tap is opened the water can rush out of the vessel to the tap – faster than the mains can get into the property. The downside of the accumulator tank is that once all the water in the tank is gone, you have the same pressure issues that you would experience if this wasn’t present. The second solution is to install a mains booster which recognises when pressure and flow are low and automatically boosts the performance of the incoming mains water. These cost in the region of £300 – £500. If your combi boiler breaks, you will have no hot water generating facility other than the kettle. Most hot water tanks (within the system or regular boiler systems) come equipped with a electric immersion heater, so even if the boiler breaks you can still produce hot water for showers and baths (albeit in a rather expensive way). 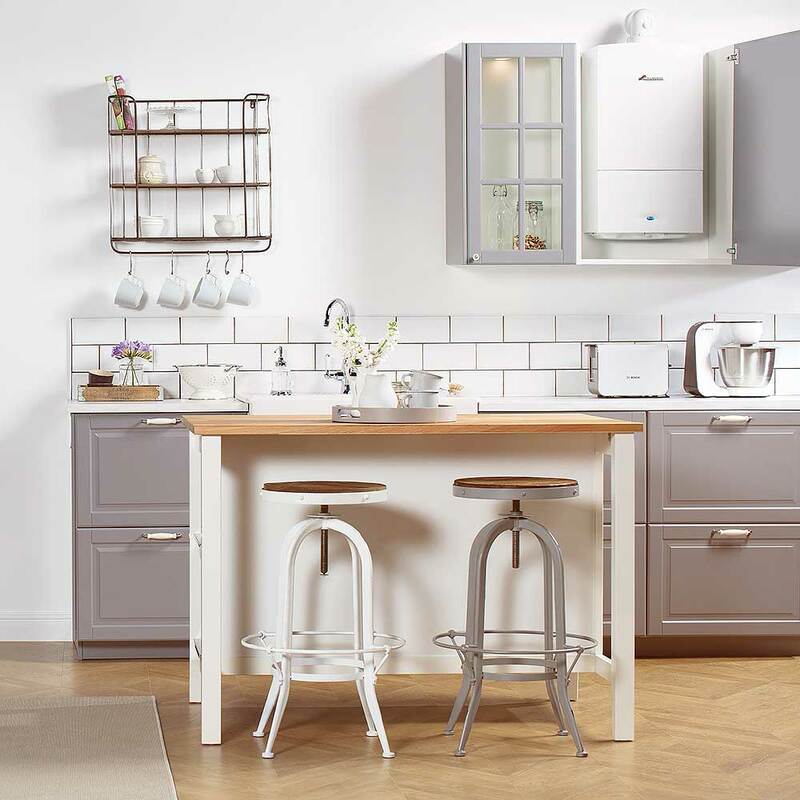 Read about other boiler solutions available to heat your home; system boilers and regular heat only boilers. 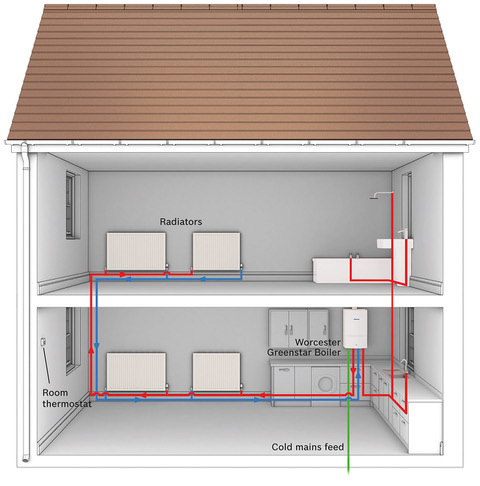 If you would like to discuss whether a combination boiler is the right solution for your home, please get in touch.